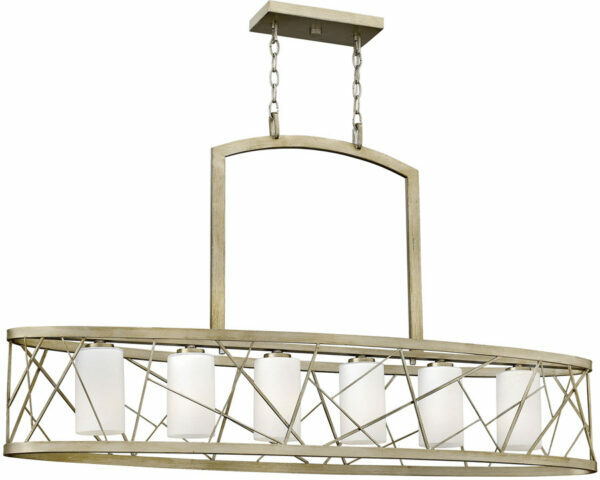 The Hinkley Nest 6 light island chandelier in silver leaf finish with etched glass shades finds its inspiration from patterns found in nature. This contemporary chandelier collection conveys an organic modern elegance in a silver leaf finish complemented by distressed etched glass. 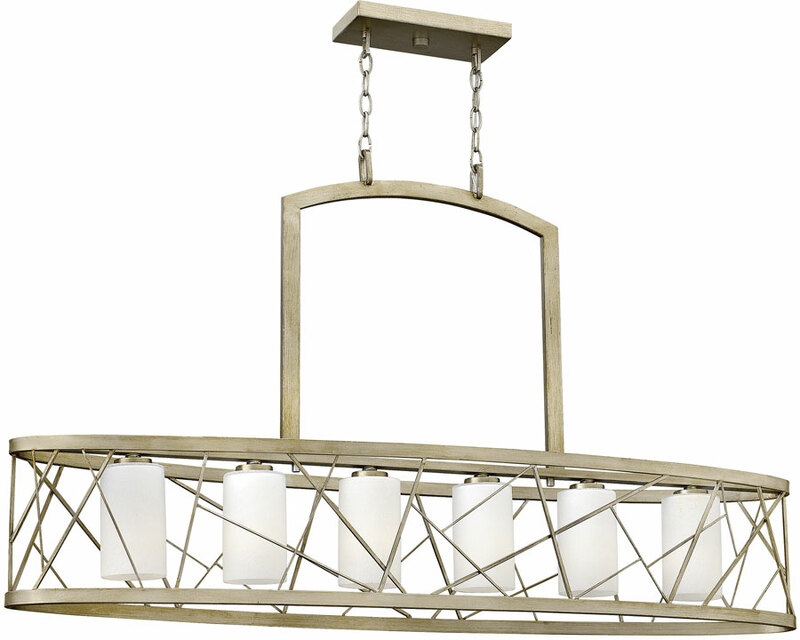 With a rectangular silver leaf finish ceiling plate and two short chains supporting the oval metalwork frame. Two large oval hoops for the top and bottom, inset with a geometric pattern and finished in silver leaf. Six distressed etched glass cylinder shades house the lamp bulbs and hang in a row along the centre of the frame. Supplied with 305cm of chain that can be shortened at the time of installation, please see the technical information below for minimum and maximum heights. Designed in the USA by Hinkley Lighting, founded in 1922 in Cleveland, Ohio. Their long heritage combines with a pursuit of innovative design to create modern and contemporary lighting like the Nest 6 light island chandelier in silver leaf finish with etched glass shades you see here.